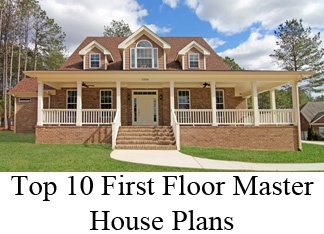 Below are the Top 10 floorplan trends for Raleigh custom homes. 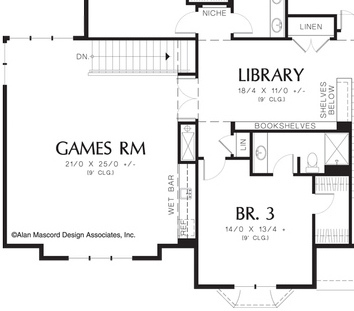 See how many of these floor plan design features are in your new home wish list. 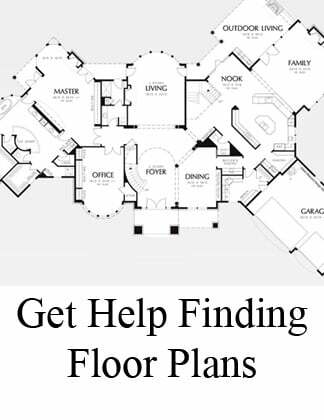 Custom home floor plans will include more walk in pantries, in several unexpected locations. 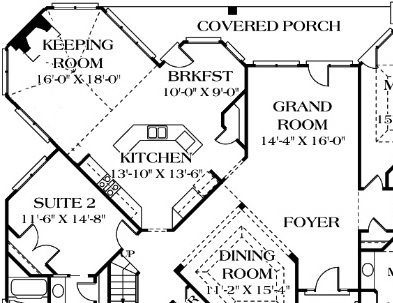 Homebuyers will take advantage of previously unused square footage but tucking (large) pantries away from coveted kitchen space and into hallways, under the stairs, and as "hidden" rooms just around the corner. 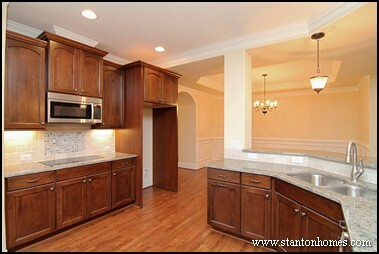 See photos of the top 5 walk in pantry designs for raleigh new homes here. 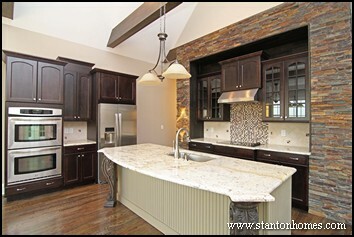 Kitchens will remain the central gathering place of the home. 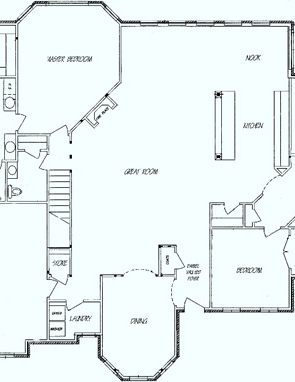 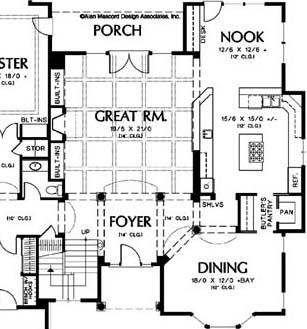 Therefore, a carefully planned kitchen floor plan will remain a priority for new homeowners. 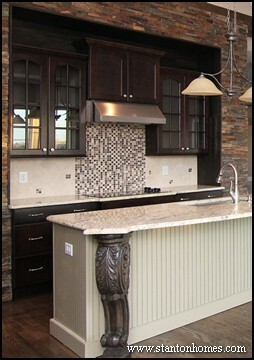 Island kitchen floor plans will include seating above and innovative storage solutions below. 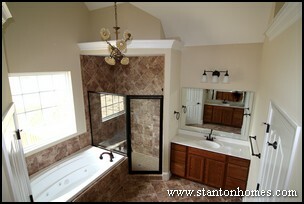 Main floor master suites will continue to be a top homebuyer request. 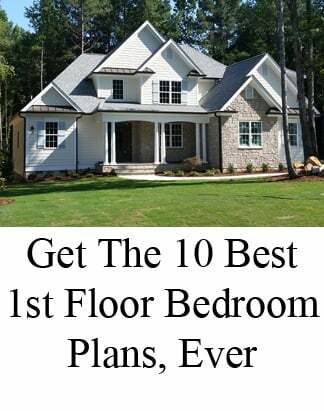 Why choose to build a first floor master home? 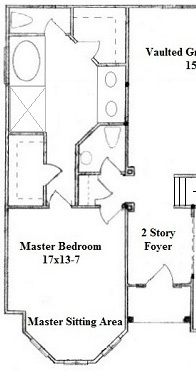 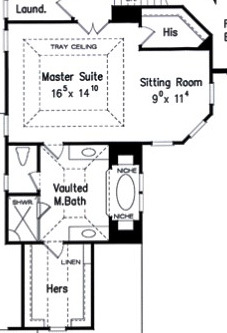 - Main floor master suites are great for long-term planning. 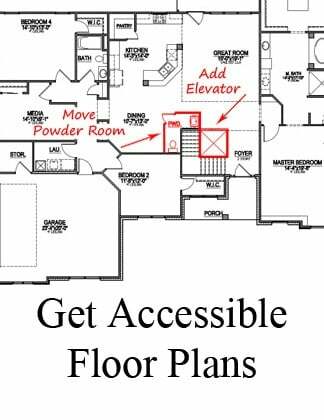 They eliminate the need to climb stairs every day. 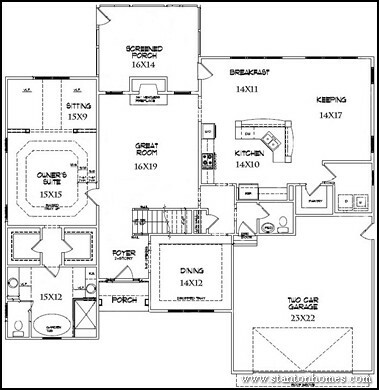 - Main floor master suites enable easy access to outdoor living spaces. 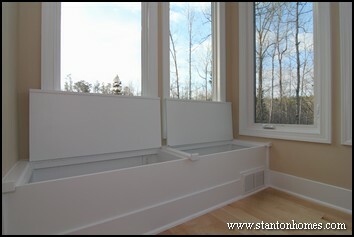 Many homeowners are adding a set of French doors to open their master bedroom into a screen porch, deck, or patio. 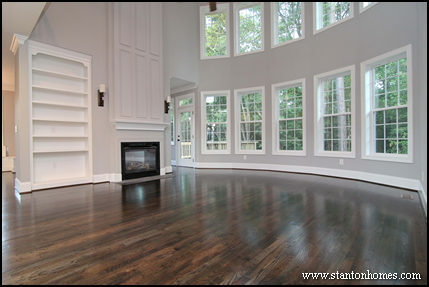 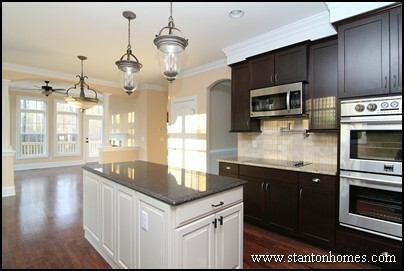 Watch photo tours of Raleigh main floor master homes designed and built by Stanton Homes. 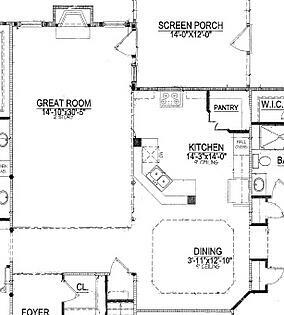 From fully accessible floor plans (which qualify for grants) to individual features, many Raleigh custom homes will integrate accessibility. 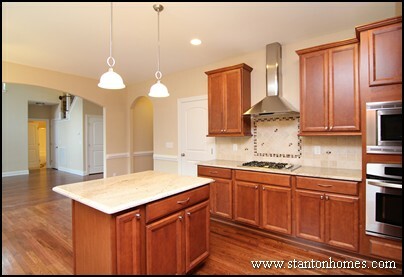 Stanton Homes is an industry leading Specially Adapted Housing (SAH) approved builder in central North Carolina, with an innovative, technology-driven approach to customized, functional and beautiful fully accessible and universal homes. 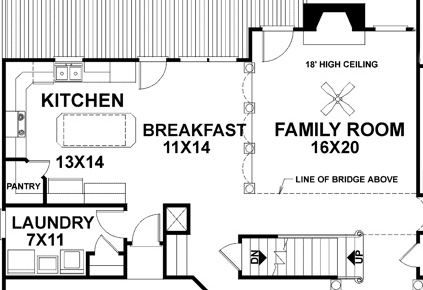 First floor guest suites will be a top request for custom homes, with privacy and convenience at the top of homebuyers' “must have” list. 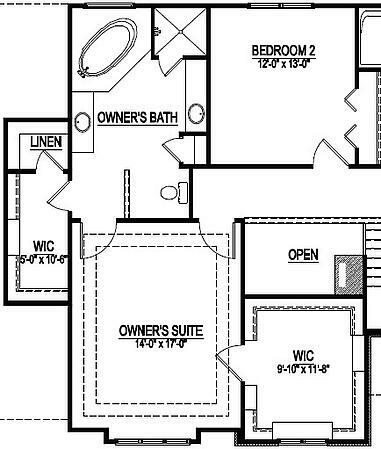 Traditional plans have a first floor guest bedroom with an attached (or near-by) bath, but there are a tremendous amount of variations. 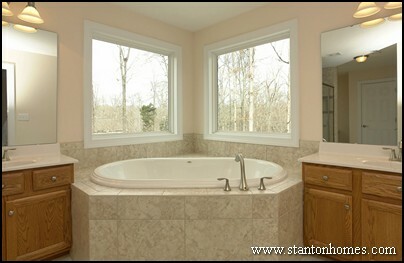 Guest suite baths can be designed with the same upper-end features as the master suite bath. 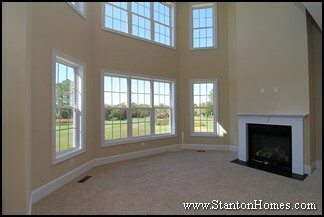 Pictured here is a version of the Cove, a guest suite custom home designed and built by Stanton Homes. 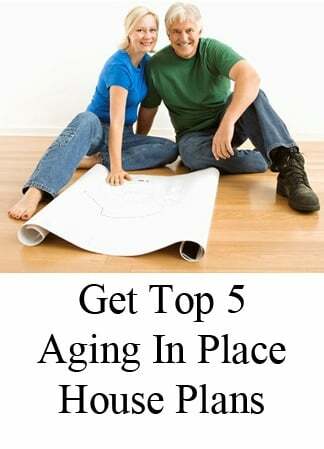 The demand for new homes with multigenerational living and mother in law suites continues to rise. 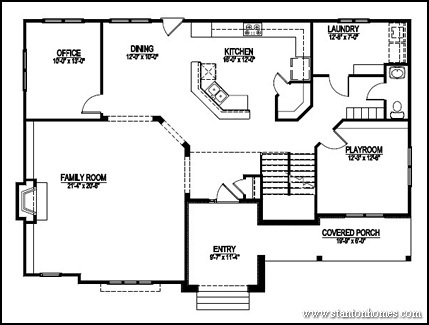 See floor plans of our most popular mother in law suite floor plans - click here. 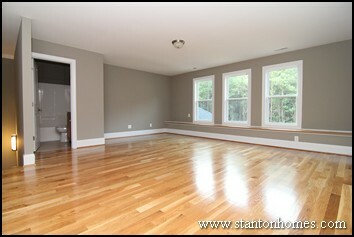 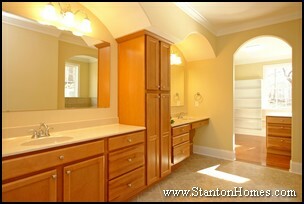 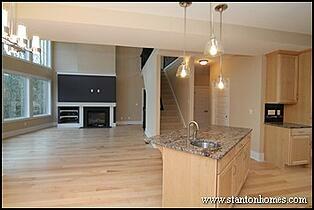 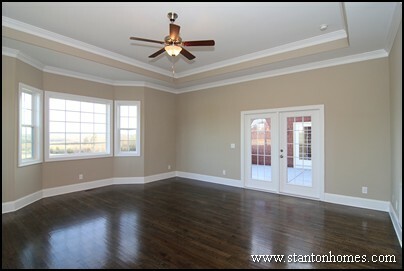 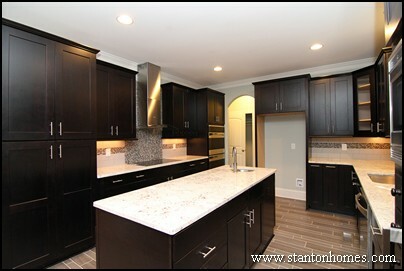 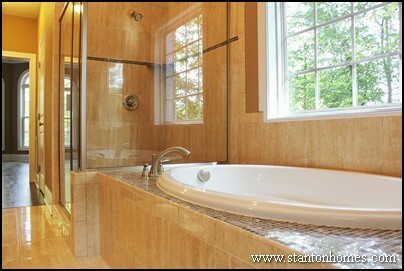 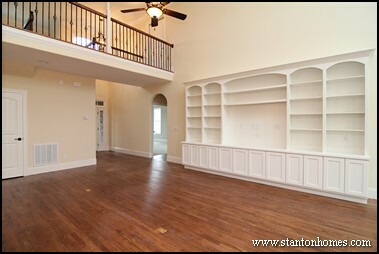 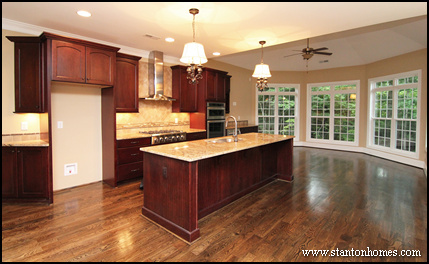 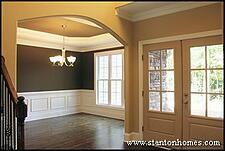 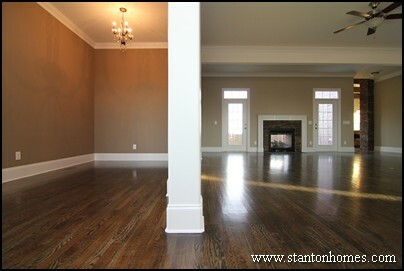 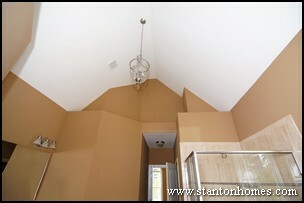 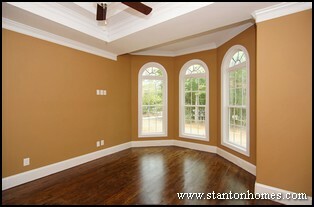 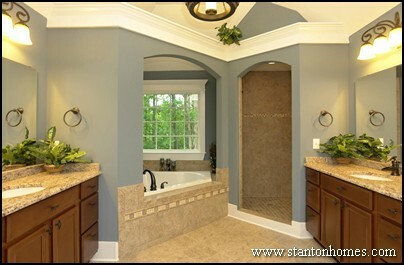 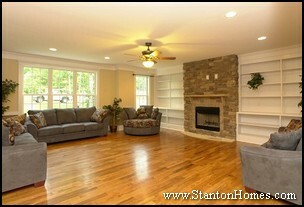 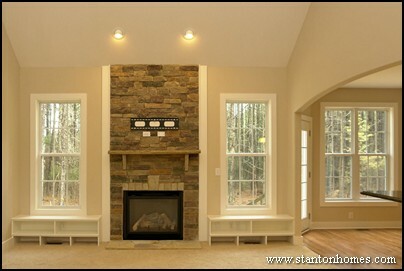 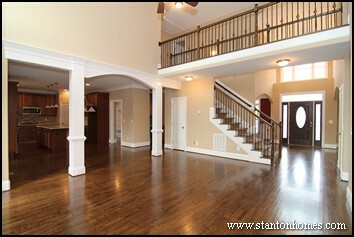 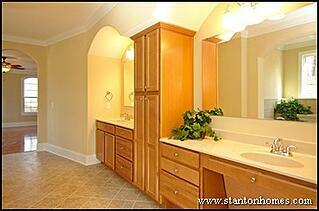 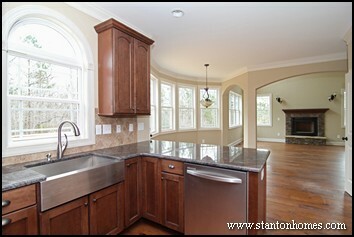 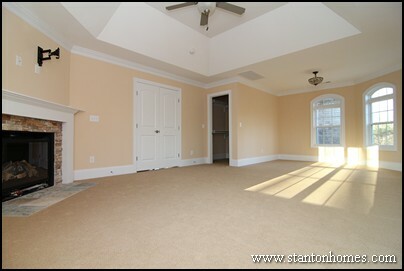 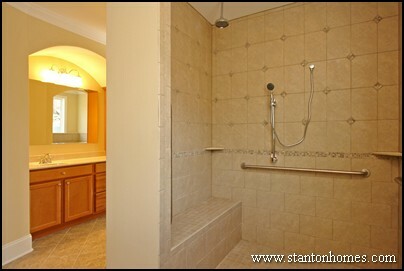 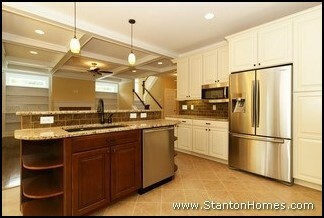 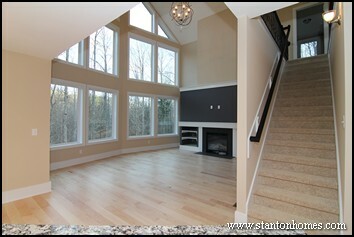 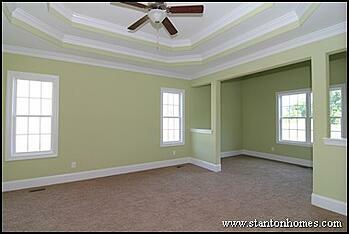 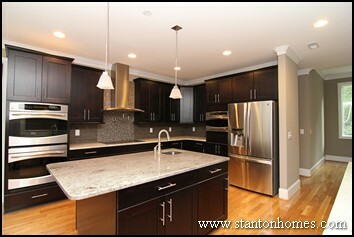 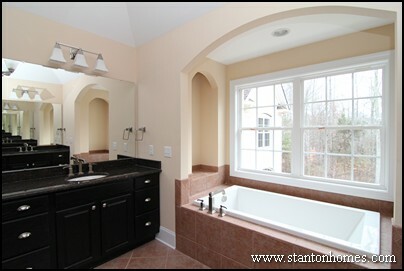 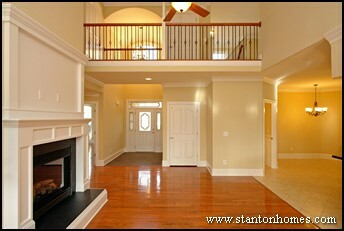 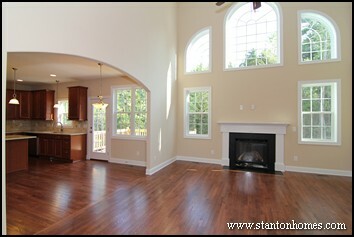 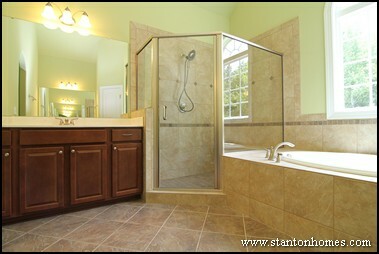 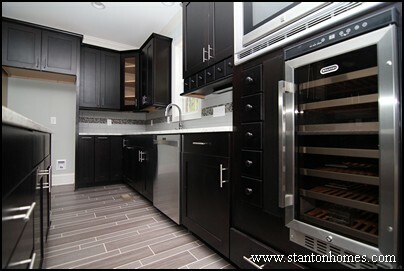 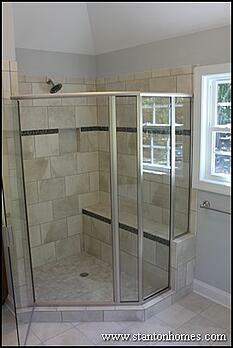 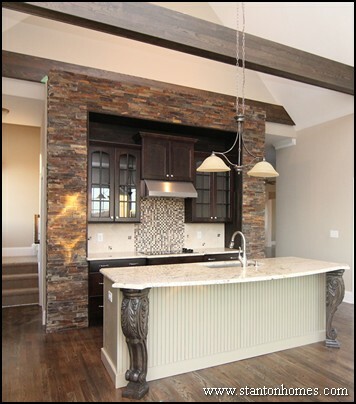 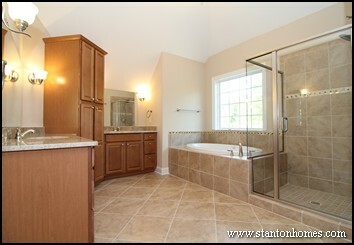 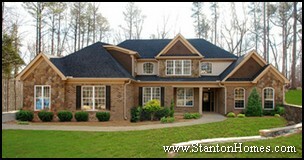 Stanton Homes can modify or design/build a custom mother in law suite home to meet your needs and budget. 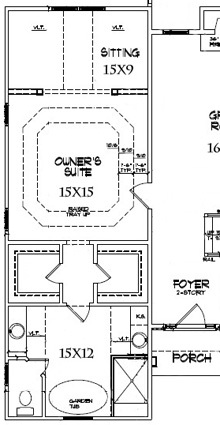 In Raleigh new homes, more owners will include a built-in first floor office or tucked-in pocket office. 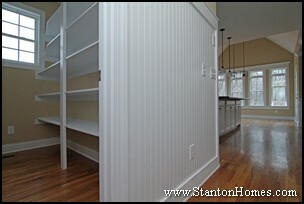 A pocket office can double as a storage area with shelving, a craft area, or sitting room. 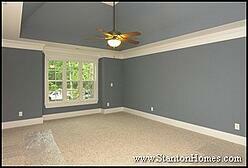 Mudrooms will increase in popularity. 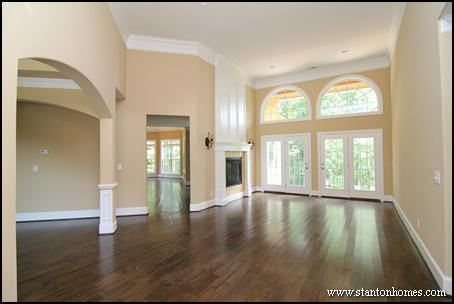 Mudrooms serve as a transition area between the outdoors and indoors, designed to keep your home clear of mud, debris, and clutter. 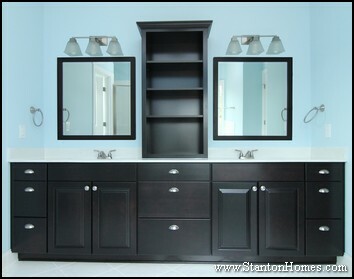 Mudrooms can be small or large, and can sometimes double as large laundry rooms, with a washer, dryer, folding table, and sink for easy cleaning of dirty clothing and outdoor items. 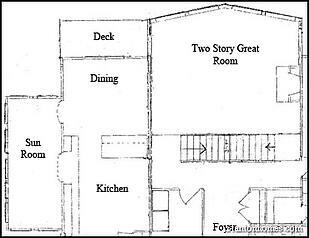 Mudrooms are usually placed adjacent to the garage, sometimes with a separate entrance. 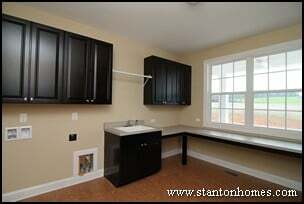 See photos of money and Time Saving Laundry Rooms and Mud Rooms on Pinterest - click here. 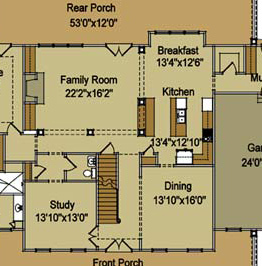 Living areas will expand to the outdoors, with courtyard patios, screen porches, and covered decks. 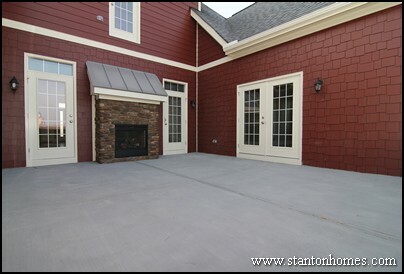 Stanton Homes can design your outdoor living space to keep you cozy in the winter and social in the summer. 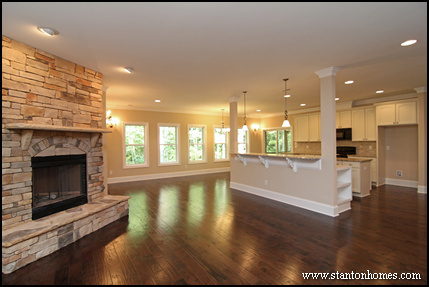 The custom home pictured here includes a courtyard style patio with see-through fireplace to the great room. 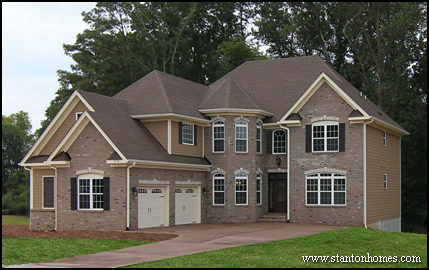 The custom home pictured here, a version of the Woodlake, includes a second story bonus room with hardwood floors and full wall window seat. 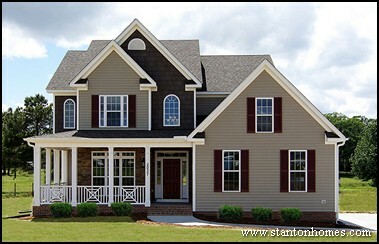 Raleigh custom home builder Stanton Homes is now offering full ecoHOME certification in every custom home that the company designs and builds.